Recollecting the The Ghazi Attack shoot remaining underwater for over 18 days non-stop touched the young hero Rana Daggubati so much that he feels the naval sailors possess tremendous amount of grit as they live life without surfacing from underwater for days together breathing the same air virtually every day. We have all seen the trailer of submarine film The Ghazi Attack, but what is life really like aboard the silent submarines? Rana Daggubati (screen sailor) tells this shadowy world, one with a language all its own, and give us an inside look at life below the waves. "End of 18 days I was gasping for sunlight," said Rana Daggubati. The underwater film was an unique experience for the young actor who plays the role of Lt. Commander Arjun Verma. He along with team The Ghazi Attack experienced the unique challenge of living underwater for close to a month in a pressurized environment inside a submarine setting. "When you haven’t felt the sun on your face and you’ve been breathing recycled air for months, getting on the surface of water and on land is like. Freedom at last! How I missed the beautiful sunlight," Rana adds. 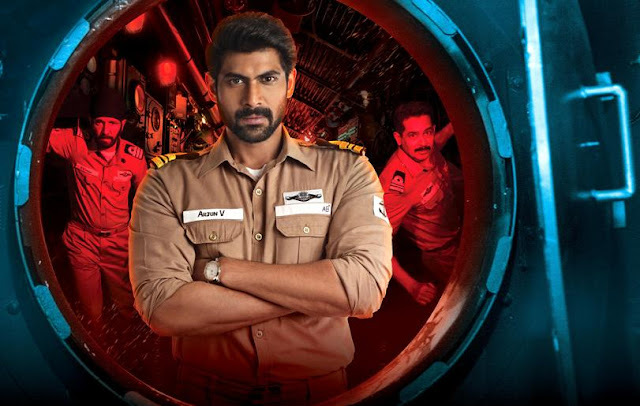 Produced by PVP Cinemas, Matinee Entertainment and distributed by Dharma Productions and AA Films, the underwater film The Ghazi Attack directed by Sankalp Reddy stars Rana Daggubati, Tapsee Pannu, Kay Kay Menon and Late Om Puri in stellar roles. The movie is slated for release worldwide on February 17 in Hindi, Telugu and Tamil.